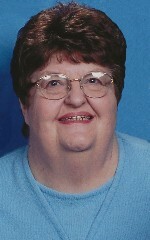 Mae Marie Hagler, nee Schneider, 79, life-long resident of Freeburg, IL, born November 3, 1939, in Belleville, IL, was called to be with her Lord Savior on Monday, February 4, 2019. Mae was born the first child to Wilbert and Linda, nee Hartmann, Schneider. She graduated from Freeburg Community High School in 1957. She was a long-time employee for McKinley Chevrolet and Schmitt Chevrolet in Belleville, IL, and retired from Siemens Manufacturing Co in Freeburg, IL. Many things brought a smile to Mae’s face, but nothing compared to her love of the St. Louis Cardinals and her family! She is proceeded in death by her parents, Wilbert “Wib” and Linda, nee Hartmann, Schneider; and two brothers, Thomas Edward and James Carl Schneider. and two great nieces, Sydney and Emelyn Schneider of Purcellville, VA. In lieu of flowers, the family asks that in remembrance of the kindness Mae shared from her heart, you pay it forward with a kind deed for a friend, loved one or stranger. Memorials can also be made to the Schneider Family Cemetery. Condolences may be expressed to the family online at www.rennerfh.com. Visitation: Friends may visit with the family from 10 to 11 a.m. Saturday, March 2, 2019, at Christ Our Savior Lutheran Church, Freeburg, IL. Funeral: A memorial service will be held at 11 a.m. Saturday, March 2, 2019, at Christ Our Savior Lutheran Church, Freeburg, IL. A light luncheon will follow the service. Burial will be at Schneider Family Cemetery, New Athens, IL.